A lot of the time my baking is about my kids. But today it was about me. 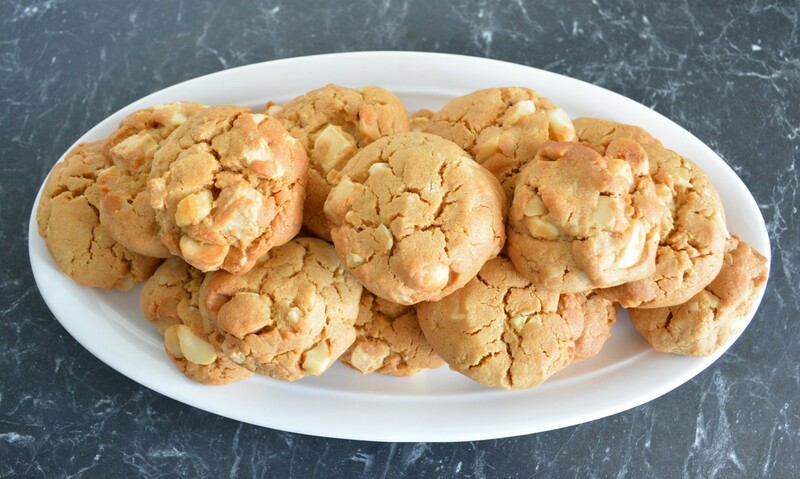 I love macadamia nuts, I love white chocolate and I love cookies. For ages I wanted to try these but never got around to it. Well finally today I did, and I loved them. They are not too sweet, and after baking a few and trying one straight from the oven, I added some salt to the rest of the cookie dough, as I have discovered cookies in general taste better with a little salt. The next batch baked were to me perfect. I could have made them smaller as they kept their shape well when baking, but I like big chunky cookies. Also the mix felt dry, but once baked, were perfect, not too hard, yet not too soft. I will treat myself to these again, as I really did enjoy these cookies. I also doubled the recipe and it worked perfectly. Preheat the oven to 175C/155C fan forced. Line two baking trays with baking paper. Using an electric beater, beat the butter and sugar in a large bowl until thick and creamy. Add the egg and vanilla extract, beat until well combined. Add the two flours and the salt, now using a spoon, mix it in well. 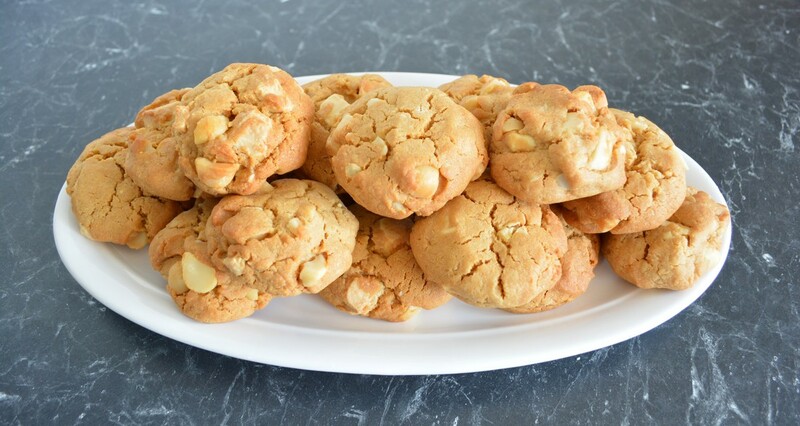 Add in the white chocolate and macadamia nuts, mix it in well. It will be a thick chunky mixture. Place spoonfuls of the cookie mixture into your hands and gently press the mixture together into a ball. Place on your prepared baking tray and flatten them a little. Bake for 15-20 minutes or until golden brown. Remove from the oven and leave on the baking tray to cool for 20 minutes, then transfer to a wire rack to cool completely.